Our legal team works to correct erroneous and unverifiable information that are reducing your FICO scores. Our team of experts are here to help you with your transactional, human resource, tax, compliance, and litigation needs. You have worked hard your entire life. You must protect your hard-earned wealth and ensure that you accomplish your estate planning goals. At Riverstone Law, we focus on credit repair, corporate representation, and estate planning. We are a different type of firm and we embrace that. 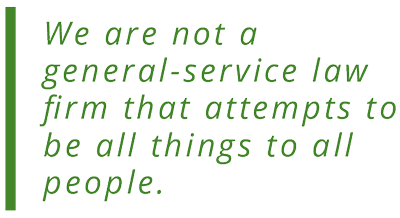 We take pride in the fact that we are not a general-service law firm that attempts to be all things to all people. On the contrary, by severely focusing on these three areas, we are able to solve our clients’ legal problems quickly and efficiently. You don’t have to traverse this course alone and this is the Riverstone difference. Riverstone Law is your team of legal experts striving to provide you with the representation that focuses on your best interests. Are you in need of legal representation for you credit repair, estate planning, or corporate needs? Do not hesitate to reach out to our highly skilled team of professionals. Our team is standing by to facilitate a phone consultation to gain a better understanding of your representation needs. Our experts will develop a deep understanding of your situation and provide you with detailed steps as to how Riverstone Law may be able to assist you. Click the button below to schedule your free consultation. Are you seeking counsel due to erroneous credit scores? Have you suffered a decrease in your FICO scores due to negligent reporting? Are you attempting to locate your competent partner for corporate law or estate planning? The Riverstone Law team has decades of experience assisting our clients with credit repair, corporate law, and estate planning. If you would like to schedule a free consultation, click the button below to get in touch with our team of in-house experts.